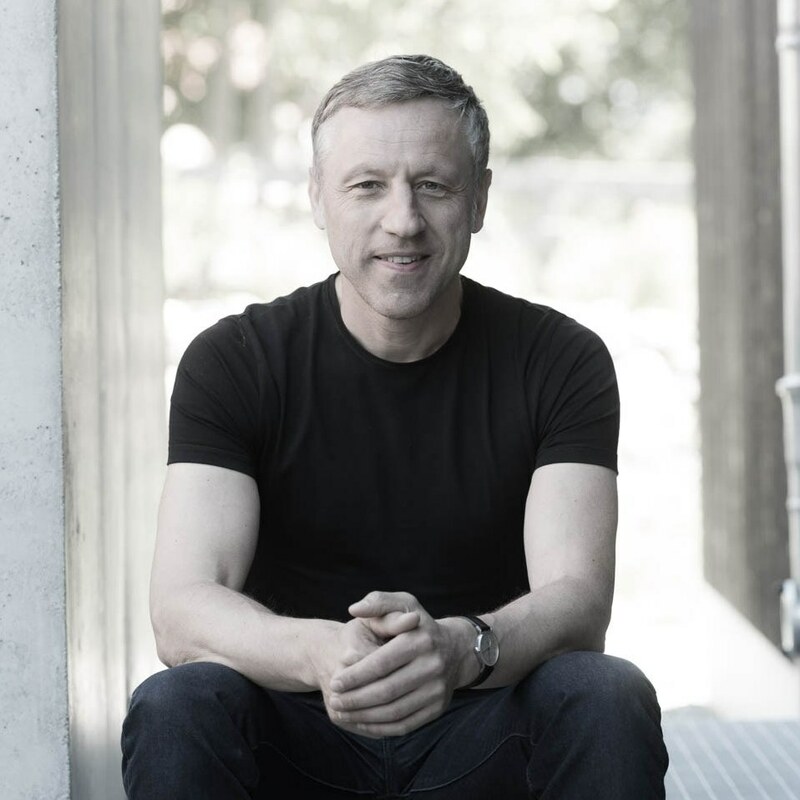 This beautiful, rural getaway showcases another novel design by Berlin’s Möhring Architekten, whose portfolio already includes many modern takes on classic architectural forms. This time the team have created a fantastic, bi-level home framed in the structure of a traditional farmyard barn! 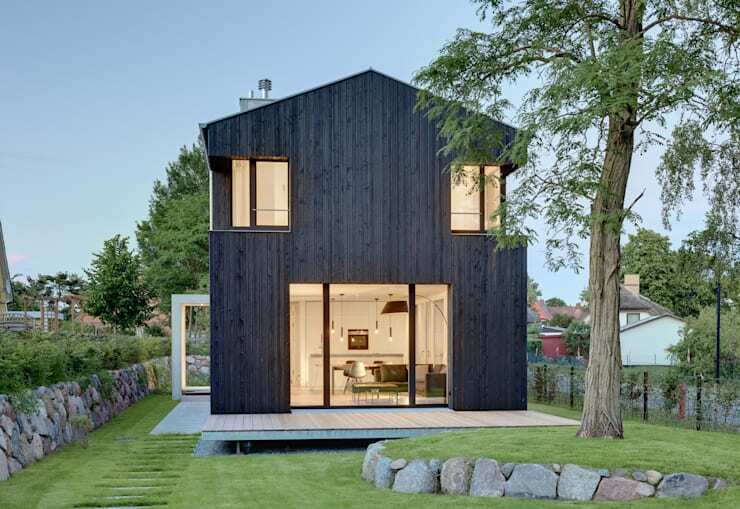 The house cuts a stunning figure against its quiet, green surrounds, with its dark timber construction soaring upwards, presenting a striking silhouette, while a stylish interior glows from within. The ground floor houses open plan kitchen, dining and living areas, with each space decorated with tasteful, minimalist furnishings. On the upper level is a simple bedroom, with plenty of large windows to allow for an influx of country air and sunshine in the warmer months. Perhaps the most enviable feature of this abode however, is the bathroom, which has been designed to perfection with modern finishes and a luxurious edge. Not only does the bathroom include a stylish, contemporary tub, but it also hosts a fabulous indoor sauna, in which the occupants can relax and detox whenever the mood arises! 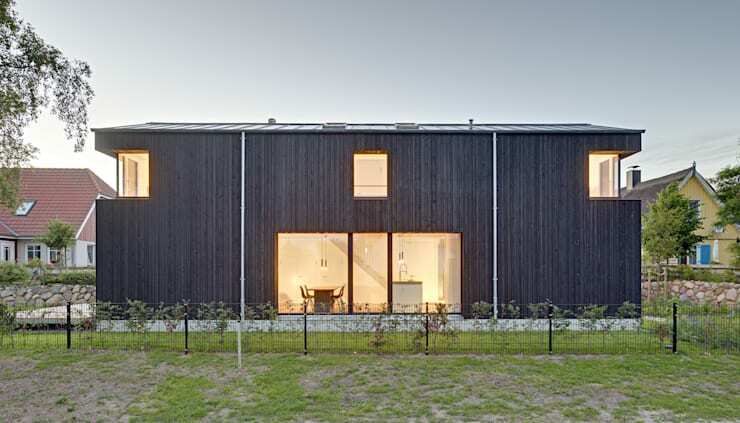 The exterior of this home has been constructed of stained timber slats, with its stark lines carving a striking silhouette against the surrounding rural scenery. Its design emulates that of a traditional farmhouse barn, but benefits from the finishes and attention to detail evident in a modern home. A simple deck trims the home’s front yard, proving an understated space for the occupants to enjoy the tranquillity of their country surrounds. A side view of the property reveals the home’s length, and creates an air of expanse contrary to its humble 120 square metre plan. The dark facade of this intriguing dwelling contrasts beautifully against the pale tones glowing from its interior, which can ben seen through a range of large windows and doors. Open plan kitchen, dining and living spaces populate the lower level, with the upper floor housing a luxurious bathroom and simple yet stunning bedroom space. The kitchen is compact and chic, with its white finishes in keeping with the home’s prevailing decor, but contrasted by the cool grey of the kitchen bench and black of modern appliances. Ample storage has been included in order to maintain a streamlined effect within the space, while a pair of contemporary, hanging lamps provide illumination alongside the sunshine flowing through glass sliding doors. In the distance we can see a rustic, wooden log lazing against the wall, seemingly in honour of the abode’s rural locale. An alternate view of the interior reveals a spacious and open design, with dining and living areas flowing forward from the compact kitchen, presenting plenty of room for interaction and relaxation. A simple, wooden table and contemporary, black chairs create a sophisticated dining setting, while the cushioned finish of a modern sofa invites relaxation in the distance. Across from the sofa, a minimalist TV unit has been constructed. Finished in the same cool grey as the kitchen bench, this space oozes understated sophistication, and is the perfect locale in which to unwind in front of a good film on a quiet evening. 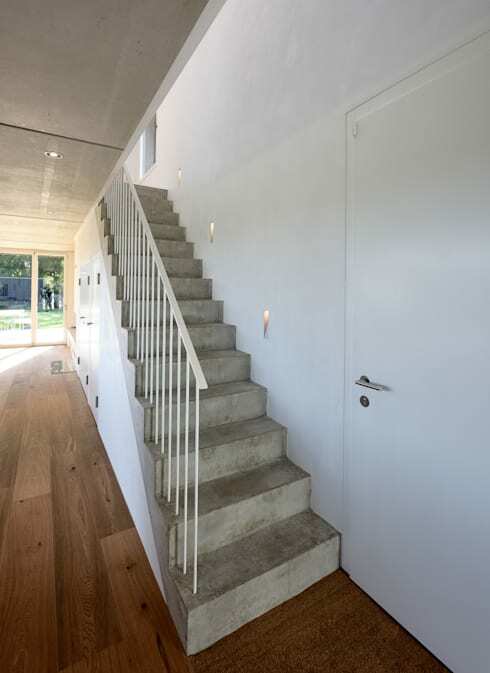 Linking the home’s two levels is a modern stairway finished in polished, grey concrete for an industrial effect. 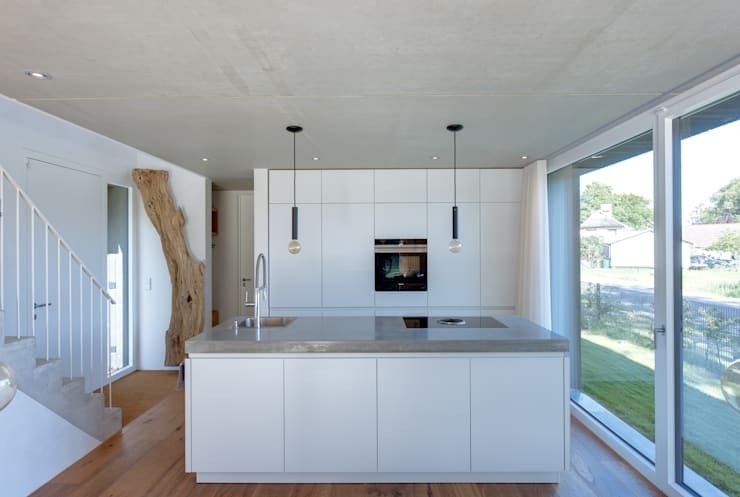 The concrete is an interesting choice of material, with its colour and finish tying in beautifully to that of the kitchen bench and TV unit, and adding a subtle contrast against the wooden flooring lining the remainder of the home. Moving through to the upper level and we’re met with a real treat, as a stunning bathroom has been constructed, replete with traditional sauna! 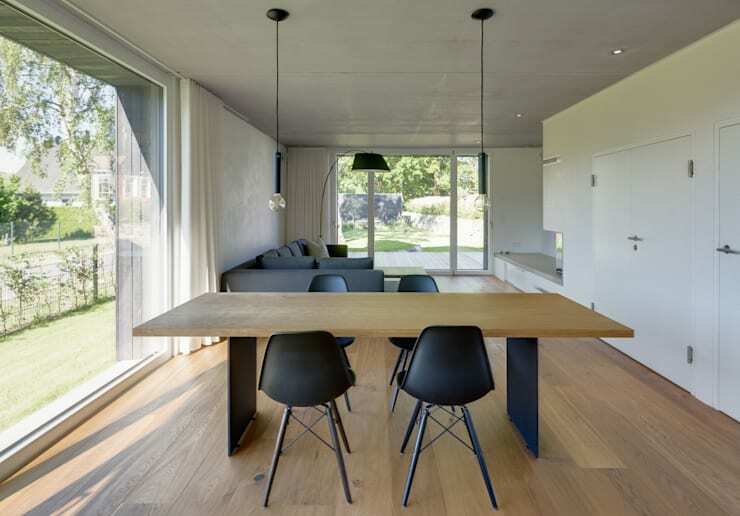 The space appears lengthy and inviting, with its minimalist decoration exuding a serene air. A contemporary bathtub teases with the prospect of a relaxing soak, while the sauna built in to the far end of the room provides an infusion of luxury. 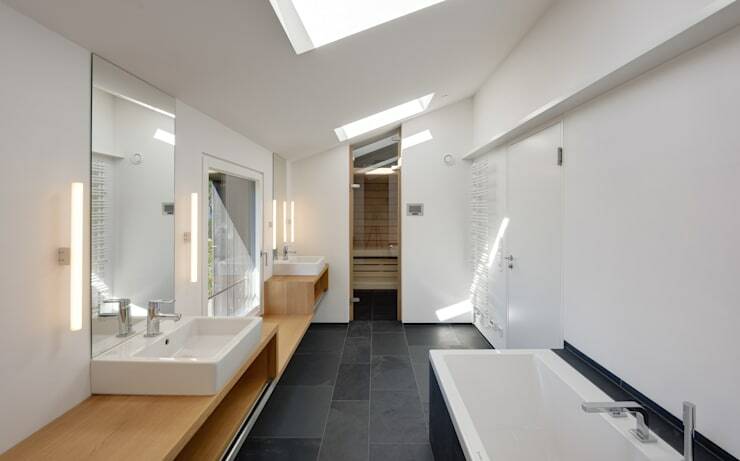 The decor within the bathroom is stylish, modern and built to stand the test of time, with its white walls and slanted ceiling beautifully lit beneath a series of skylights lining the roof. Examining the bedrooms within this unique home and we’re once again presented with an atmosphere of understated sophistication. Decor of white and wood characterises the space, as light flows through an expansive array of windows, creating an open, airy room with a peaceful allure. A lengthy bed head frames the room, providing plenty of space for storage and display, while a contemporary lamp stands ready to provide illumination after dark. Looking for more architectural inspiration for your country getaway? Take a look at The Luxurious and Warm Log Cabin! What do you think of this design as a modern, country getaway? Tell us your thoughts below!